You don’t often get rewarded just for doing something genuinely helpful for your fellow human beings. But if you’re a bleeding heart, you could stand to earn a little bit of extra pocket money — if you’re willing to bleed literally as well as metaphorically. The American Red Cross is experiencing a shortage in its blood supply and is in desperate need of donors. 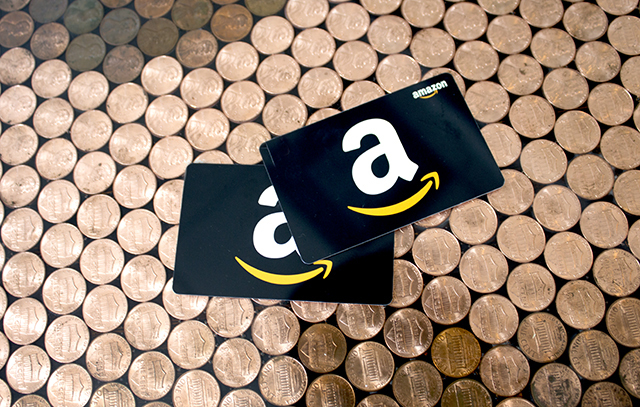 As a result, it’s giving a $5 Amazon gift card to anyone who donates blood or platelets through Aug. 31. The American Red Cross estimates a patient has need of donated blood or platelets every two seconds, according to its statement. Keeping an ample donation supply on-hand can save lives, but the organization’s usual five-day stock is running low. It’s urging donors of all blood types to step up to the needle and help. “Accident and burn victims, heart surgery patients, organ transplant patients, and those receiving treatment for leukemia, cancer or sickle cell disease may all need blood,” says the release. So the $5 Amazon gift card claim code you’ll receive via email if you donate is far from the best reason to do so. Even if you don’t live near an American Red Cross location, you can still help save lives — and get some rewards. Other organizations incentivize donations with free movie tickets, gift cards to local restaurants and grocery stores, and more. The Penny Hoarder’s own senior editor Heather van der Hoop received a free Fandango movie ticket when she donated blood on OneBlood’s Big Red Bus here in St. Petersburg, Florida. OneBlood offers different rewards and incentives to donors based on location — check to see what’s available in your area here. United Blood Services has a tiered Donor Rewards Program. Your “hero” status levels up depending on how frequently you donate, and you can earn access to an online Donor Hero Rewards Store. You can discover donation centers in your area here. Perhaps your local blood bank offers donor incentives, as well. But even if not, you should still donate if you’re eligible. We think you’ll find the very best reward for your generosity has nothing to do with gift cards or movie tickets. Your Turn: Will you donate blood this month? 2 Hours Ago Vizio, Samsung and More: Do These 8 Companies Owe You Money?